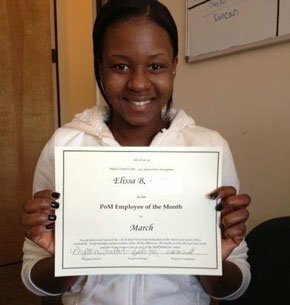 Hired Hands has chosen Elissa B as our Employee of the Month for our Peace of Mind program! Elissa is consistent in her duties, is outgoing and bubbly, she is always willing to take an extra shift when we’re in a pickle, and has even been a great caregiver for some of our traditional in-home clients. She takes her work seriously and does a great job following our protocol!